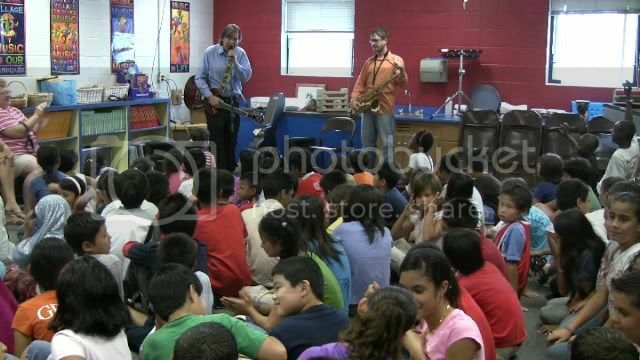 Kenny Lee (guitar) and Ryan Stiles (sax) at Natcher Elementary. 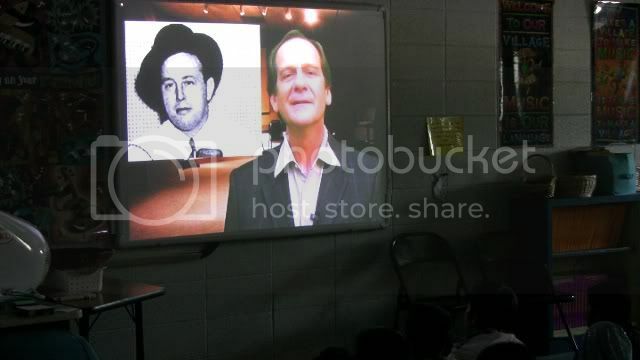 This is the first time we used a DVD of our History segments during a program. The video looked great and was well received. 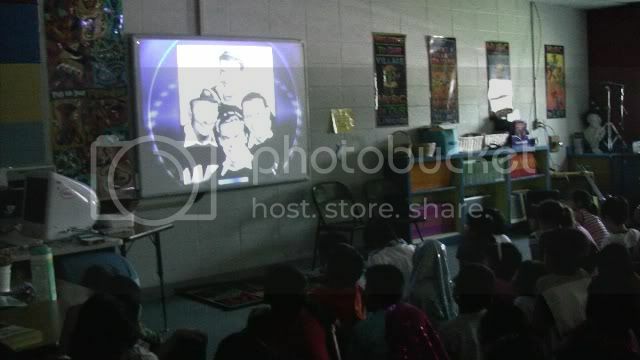 From the question and answer period after we felt that the kids learned more about Kentucky’s contributions to the world of blues and music more than in the past. 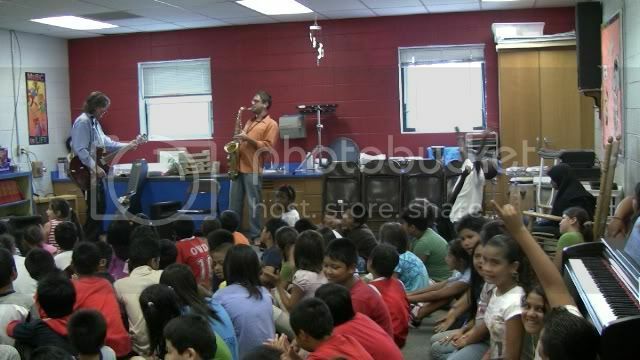 We had a lot of fun playing music for the kids and talking about the blues. 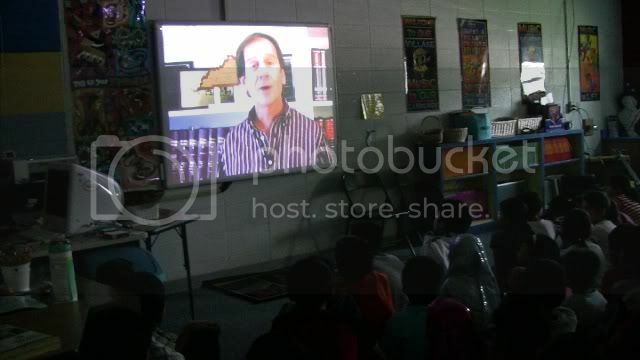 A special thanks to Janet Yeager and all the teachers for allowing us the opportunity.